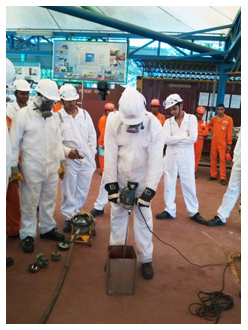 and the related Safe Working Practices on board, so that they are able to supervise the task of surface preparation and painting correctly, to ensure that this maintenance work is carried out economically and effectively, and serves the purpose for which it is carried out. Types and causes of corrosion. 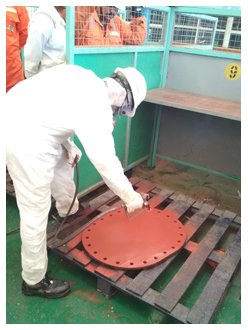 Surface Preparation Standards by tools, abrasives and blasting. Procedure of various ways of Pre-preparation of the surface and the tools and equipment used for the same. Composition of various types of Paint. Calculation of how much paint and thinner to order. Understand the impact of the Dew Point and Relative Humidity on application of paint. 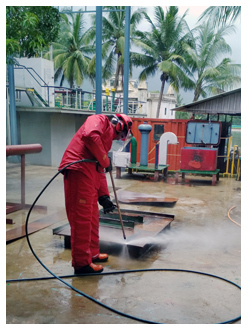 Adherence to safety when carrying out surface preparation and painting.